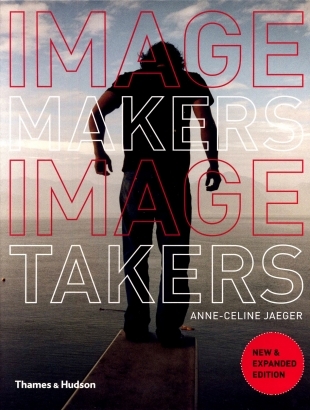 I've just read this revealing book of interviews with a number of prominent photographers and related professionals, which probes their motivations, practices, values and experiences. Jaeger has the ability to ask relevant and interesting questions, seeking insights into the philosophies and approaches of the interviewees. The cast list ranges from well-known photographers such as Stephen Shore, William Eggleston, Sebastiao Salgado, Mary-Ellen Mark, Alec Soth and David LaChapelle, to others who were new to me, but interesting nonetheless. Genres range from documentary, to portraiture, fashion and beyond. In addition to photographer interviews are encounters with curators, an agency director (Diane Dafour, Magnum's European Bureau Chief), publishers (including Gerhard Steidl) and Joerg Colberg, who runs the influential Conscientious photography blog. If there was one book I'd recommend to an aspiring photographer, it would be this one: it's compulsive, easy reading and a valuable resource.